I am a self-taught quilter and have been designing and sewing my own quilted crafts since 1997 when I suddenly decided to make a baby quilt for a co-worker. 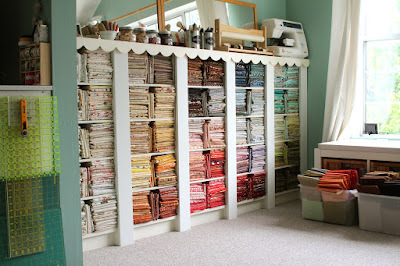 I immediately fell in love with the idea of painting pictures with fabric instead of watercolour. 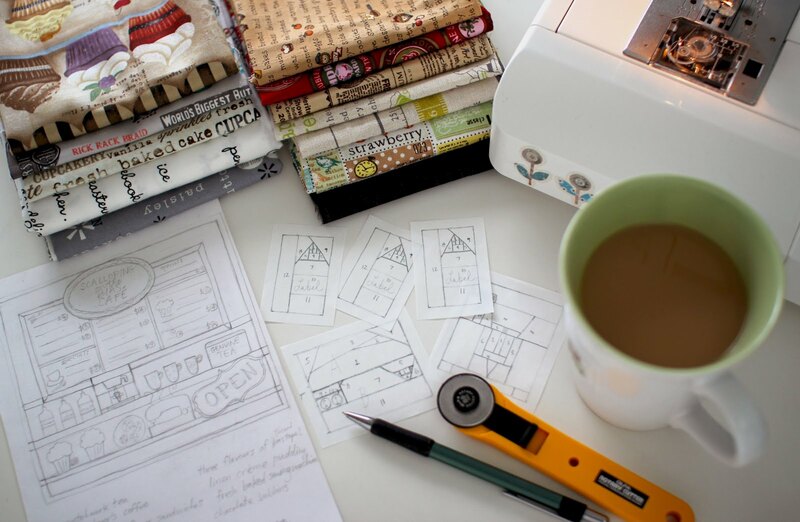 I am greatly inspired by tea, Japanese country patchwork, and the online craft community where I am known as PatchworkPottery. My style has been described as “country chic” which mixes elements of old and new to create a sophisticated timeless quality. 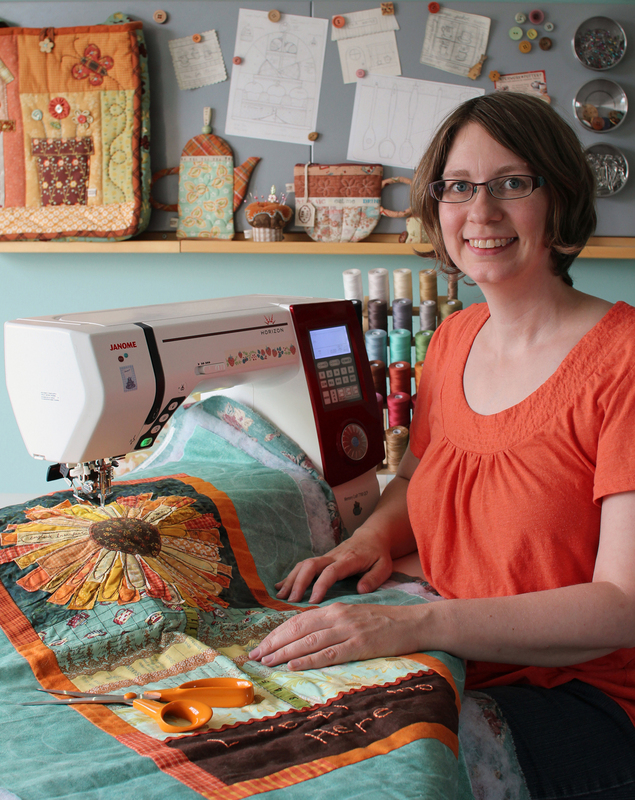 I like to incorporate machine-appliqué, hand-embroidery, buttons & linen in my projects. 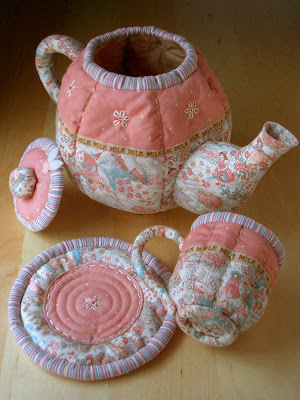 I enjoy combining elements from both my passions of patchwork and pottery--- creating dishes with patches of intricate patterns, and quilting three-dimensional teapots and teacups. I joined Flickr in 2006 and things really took off! It really opened up the crafting world to me. A year later, I opened my first online shop on Etsy. As my online presence grew, several book publishers asked me to create patterns for new craft books. It was very exciting! 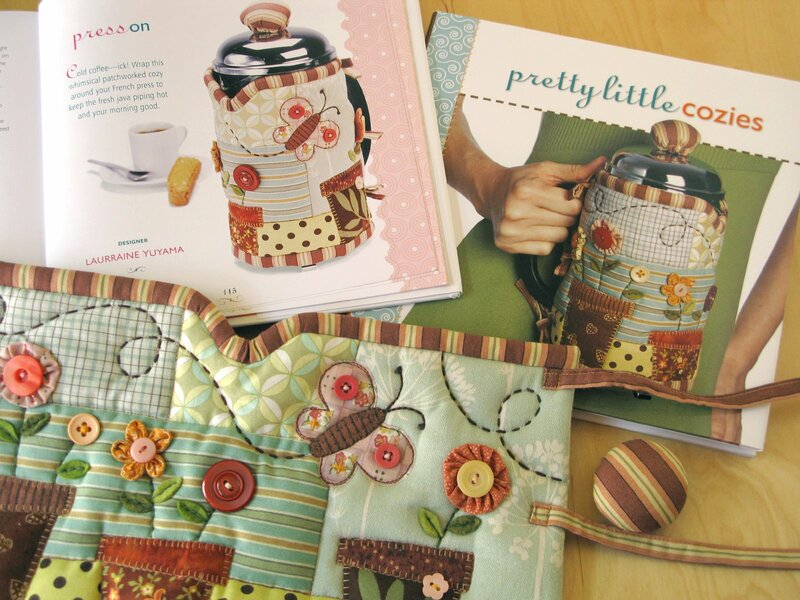 My patterns have now been published internationally in 11 books to date and I hope one day to publish a book of my own. My craft business bloomed and soon there was not enough time in a day to sew crafts and spend time with my family. After sewing my 200th Teacup Pouch I realized that I missed designing new projects. 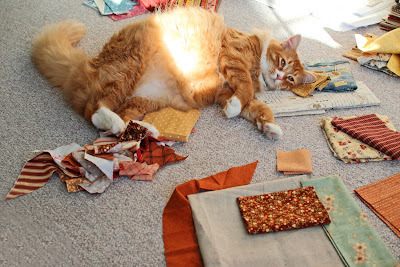 Due to many requests, I switched to pattern-making in September 2009. My hands must always be doing something so I take partly finished projects or a sketchbook with me wherever I go. When I’m not sewing, I enjoy gardening and baking treats for tea time with friends. I also collect teacups, fabric, ribbons & buttons. 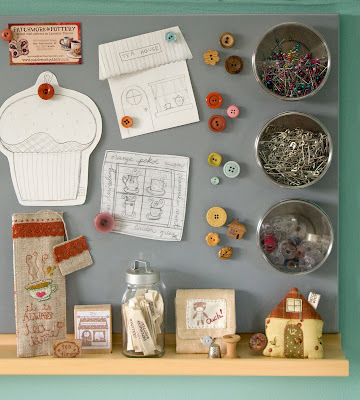 My studio is filled with handmade items and supplies that inspire me. The large window looks out over the beautiful trees and bridge across the river. Our two cats, Percy Persimmon & Opal, help me re-arrange fabric & warm my lap; and I often get a second opinion from my artistic daughter Claire. I owe everything to my wonderful husband who continually supports & motivates me. 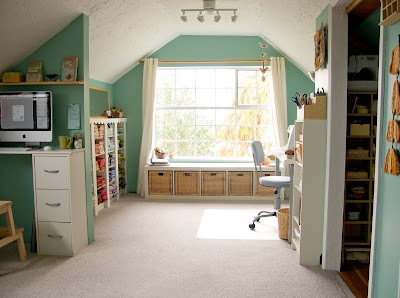 I design, create, casually blog & facebook, and sell my digital pattern booklets internationally from my bright attic studio in New Westminster, BC Canada.